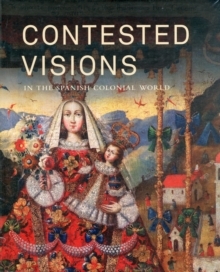 Contested Visions offers a comparative view of the two principal viceroyalties of Spanish America: Mexico and Peru. Spanning developments from the 15th to the 19th century, this ambitious book looks at the many ways and contexts in which indigenous peoples were represented in art of the early modern period-by colonial artists, European artists, and themselves. More than two hundred works of art, including paintings, sculptures, illustrated books, maps, codices, manuscripts, and other materials such as textiles, keros, and feather works, are reproduced in full-color illustrations, demonstrating the rich variety of these artistic approaches. A collection of essays by an international team of distinguished scholars in the field uncovers the different meanings and purposes behind these depictions of native populations of the Americas. These experts explore the role of the visual arts in negotiating a sense of place in late pre-Columbian and colonial Latin America. They address a range of important topics, such as the construct of the Indian as a good Christian; how Amerindians drew on their pre-Columbian past to stake out a place within the Spanish body politic; their participation in festive rites; and their role as artists. Lavishly illustrated, this ambitious book provides a compelling and original framework by which to understand the intersection of vision and power in the Spanish colonial world. Pages: 320 pages, 220 color illus.